Calling all local businesses!! 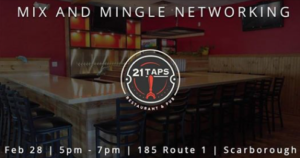 Come Network with local businesses at the new and beautiful 21 Taps!! Make sure to bring your business cards and create some great business relationships.